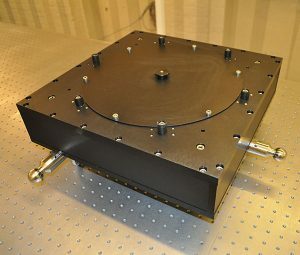 Benefiting from an ultra-stable production environment and proprietary polishing techniques – Optical Surfaces Ltd. is able to routinely produce high-power laser windows up to 600mm in diameter with typical wavefront error of lambda/10 and surface finish of 40/20 to 10/5. Working with a range of optical materials including BK-7 and fused silica, which offer good homogeneity and transmission from the UV to the Near-IR, Optical Surfaces is today a preferred supplier of large, precision windows to many high-power laser research groups around the world. To optimise the performance of rapid-pulsed (femtosecond) high-power lasers – Optical Surfaces Ltd is able to supply the latest dielectric coatings on windows to provide minimum pulse distortion, maximum usable bandwidth and durability. 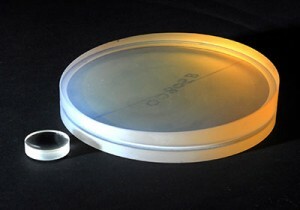 In applications where there is significant risk of mobile material as a result of high-power laser ablation – Optical Surfaces also has considerable experience of producing large ultra-flexible windows (debris shields) to protect the final high precision lens that focuses laser energy onto the targets. Manufacturing debris shields combines the dual demands of producing a precision wavefront (typically lambda/5 to lambda/10) on a flexible window with a high diameter to thickness ratio. For further information please visit https://www.optisurf.com/index.php/products/flats-and-windows/windows/ or contact Optical Surfaces Ltd. on +44-208-668-6126 / sales@optisurf.com. 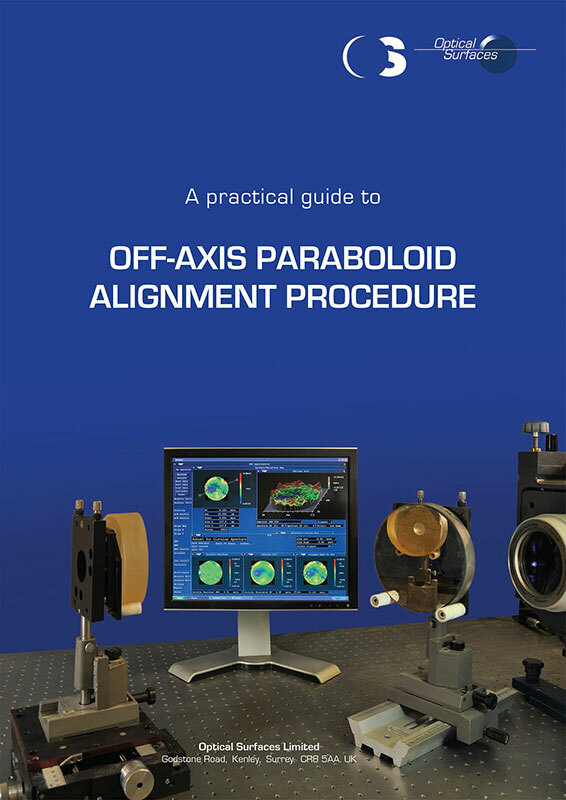 Optical Surfaces Ltd. announces that it produced an updated version of its popular ‘Practical Guide to Off-Axis Paraboloid Alignment Procedures’. Off-axis paraboloids, also referred to as off-axis parabolic mirrors, provide the advantage of an unhindered aperture and access to the focal plane. They are ideal for broadband or multiple wavelength applications, thanks to their complete achromatic performance. Off-axis paraboloids often deliver the most cost-effective solution without compromising performance to many problems faced by optical and system designers. With decades of manufacturing and supplying ultra-high precision off-axis parabolic mirrors to leading research groups around the world – the guide provides highly informed hints and tips to enable users to get top performance from their optics. The illustrated alignment guide includes an introduction to OAP geometry as well as step-by step instructions on initial alignment; tips to correct for errors in focus and tilt, set off-axis distance and rotation and a final alignment procedure to ensure optimised performance. 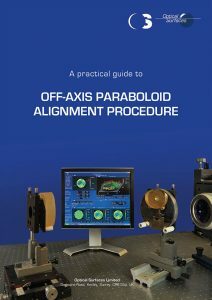 For a copy of the 2018/2019 edition of ‘Practical Guide to OAP Alignment’ please visit www.optisurf.com/index.php/news/technical-tips/ or contact Optical Surfaces Ltd. on +44-208-668-6126 / sales@optisurf.com. 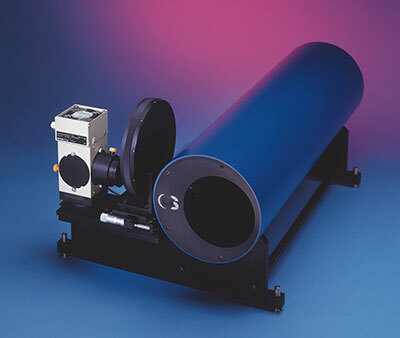 Optical Surfaces Ltd. is offering high-precision ellipsoidal mirrors that offer unmatched pinpoint focusing for high resolution spectroscopy in the soft and hard X-ray regions. 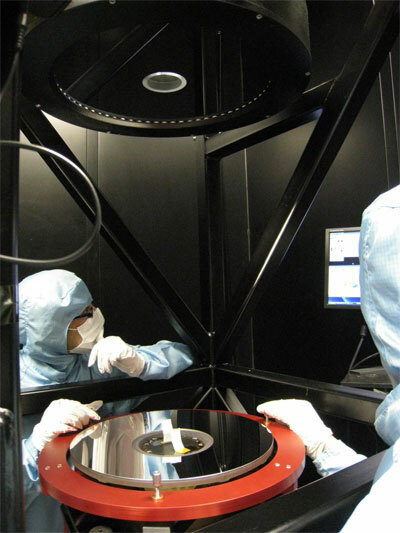 Drawing upon skilled craftsmen working in a uniquely stable production environment, Optical Surfaces is able to produce ultra-smooth ellipsoidal mirrors able to deliver an X-Ray Diffraction (XRD) spot that exactly matches your spectrometer detector resolution. As a consequence, the resolution and angular range of XRD measurements can simultaneously be improved. In addition, the pinpoint focusing provided by the ellipsoidal mirrors increases X-ray flux density, resulting in better contrast. 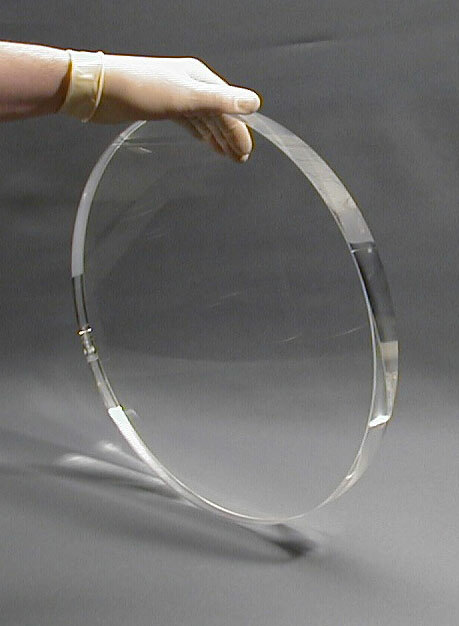 With workshops and test facilities deep underground where temperatures remain constant and vibration is practically non-existent, Optical Surfaces routinely produces ellipsoidal mirrors in a range of materials (Zerodur, BK7, fused silica) with typical surface accuracy of better than lambda/10 (dependent on size and radius) and surface quality of 20:10 scratch dig. 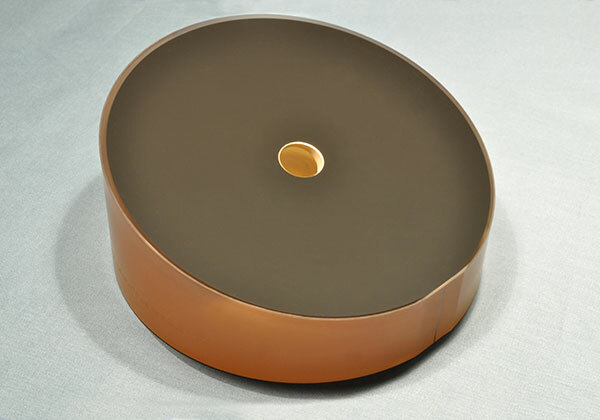 Optical Surfaces can produce ellipsoidal mirrors in a range of shapes (largest dimension up to 400mm) that offer high performance and durable optical coatings that provide excellent image quality. High precision mounted reference mirrors. 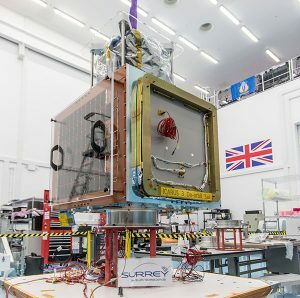 Based in Guildford, UK, Surrey Satellite Technology Limited (SSTL) manufacture and operate small to medium sized satellites, covering a range of use cases, from telecoms to Earth observation. Earth observation (EO) satellites are a core product for SSTL and each EO satellite undergo a rigorous process of testing and verification before and after launch. 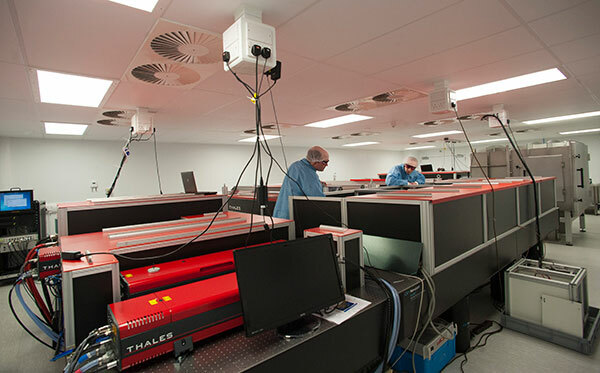 As SSTL’s business has grown it required additional high precision reference mirrors to enable testing of its telescope optical systems in parallel. Dr Robin Cole, Optical Systems Engineer at SSTL, commented “There are very few suppliers who can produce such large optics with the specifications we required. We had an additional requirement for a custom mounting configuration, for which Optical Surfaces Ltd. were able to propose and deliver a suitable design. We have worked with Optical Surfaces Ltd. on previous projects and have high confidence in their ability to deliver high specification optics on time and at a competitive price. From start to finish Optical Surfaces Ltd. operate a highly efficient and professional service, always engaging with enthusiasm and drawing on decades of experience to provide robust and innovative optical solutions”. Optical Surfaces Ltd is a leading supplier of Beam Collimators tailored to enable precise Modulation Transfer Function (MTF) testing of your optical systems. MTF is a trusted technique for objectively evaluating the image-forming capability of optical systems. Reflective beam collimators are mirror assemblies that take divergent or convergent incoming light rays and produce parallel light output. They can be used to replicate a target at infinity without parallax. As a consequence, reflective beam collimators are the device of choice for performing polychromatic MTF measurements over extended wavelength ranges. The high stability and performance of Optical Surfaces reflective beam collimators is achieved using a zero expansion off-axis parabolic mirror, manufactured to better than lambda/10 p-v surface accuracy. The optics within the beam collimator, are secured by the use of stress-free mounts and come pre-aligned for optimum performance. The off-axis design of Optical Surfaces beam collimators produces no central obscuration thereby ensuring highly efficient transmission is obtained. The all-reflecting design of Optical Surfaces beam collimators is achromatic and with aluminium / magnesium fluoride coatings can operate from the UV to the infrared without adjustment. Using zero expansion glass mirror substrates these beam collimators provide exceptional operational stability. Each system has an output port datum plane giving a defined distance to the focus. 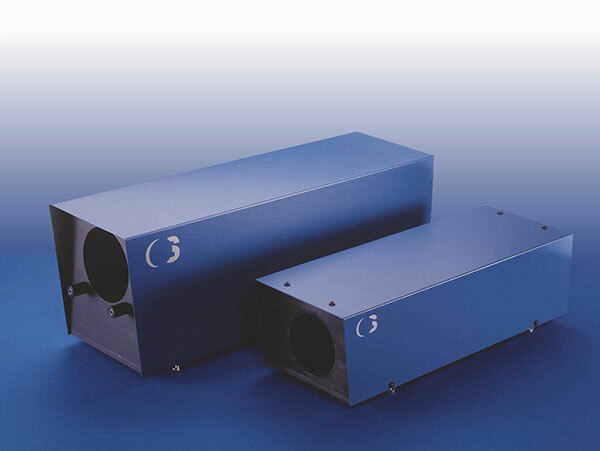 All Optical Surfaces beam collimators provide a 20mm field ensuring full compatibility with standard black bodies. A wide choice of options enables Optical Surfaces beam collimators to be tailored to exactly suit your MTF optical testing requirements. For further information on reflective beam collimators for MTF optical testing please visit www.optisurf.com/index.php/products/reflective-collimators/ or contact Optical Surfaces Ltd. on +44-208-668-6126 / sales@optisurf.com. Optical Surfaces Ltd announces that it has received an order from the UK Atomic Weapons Establishment (AWE) for twelve ultra-fast focusing 370mm diameter aspheric lenses for its Orion petawatt laser research facility. World-class expertise and cutting-edge science, engineering and technology lie at the heart of AWE work, spanning the life cycle of nuclear warheads from initial concept and design, to final decommissioning and disposal. 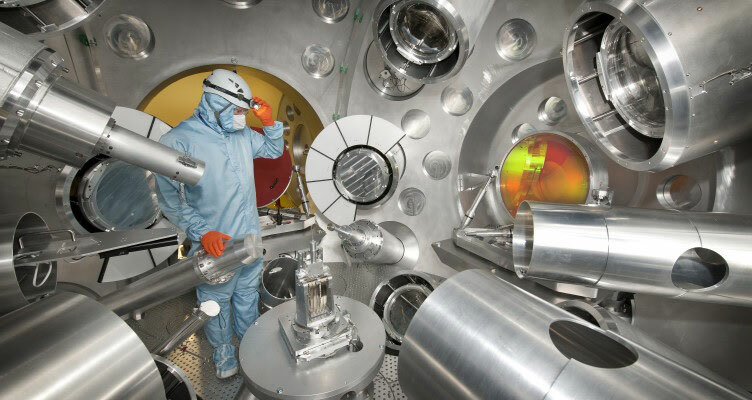 The Orion laser facility is used to conduct research into high energy density physics phenomena, which occur at the heart of a nuclear explosion or the interior of a star. Orion is used to generate matter many times denser than solid, similar to that found at the centre of a giant planet such as Jupiter. At temperatures in excess of 10 million degrees, Orion can replicate conditions found at the centre of the Sun. These phenomena cannot be found anywhere else on planet Earth. The order is a repeat order for the key focusing elements supplied by Optical Surfaces Ltd to AWE in 2008. Replacement of the original lenses is required as coatings and lens material gets damaged over time due to very high energy density of the Orion laser. Dr Aris Kouris, Sales director at Optical Surfaces Ltd commented “We are very pleased to again be selected by AWE to supply the replacement fast focusing aspheric lenses that lie at the heart of their Orion petawatt laser facility”. He added “The greatest challenge in producing these ultra-smooth optics relates mostly with the high asphericity of the lenses, arising from the short focal length required. The short focal length not only enables AWE to use a relatively compact vacuum chamber for its experiments but also to achieve a very high energy density at the point of focus. This high asphericity also imposes an additional difficulty in controlling the demanding requirements associated with the lens wavefront gradients specification. For beam focusing applications in environments subject to wide temperature variation, Optical Surfaces Ltd. is able to produce athermalised beam expanders that deliver stable high performance. Optical Surfaces athermalised beam expanders are based upon a Dall-Kirkham off-axis mirror design that incorporates INVAR elements to provide thermal stabilisation. In addition, to better control thermal behaviour, the off-axis mirrors in the athermalised beam expanders have a short focal length resulting in a very robust assembly which is less sensitive to temperature changes. 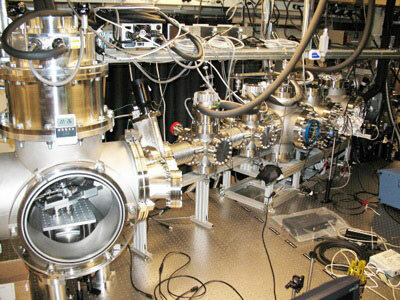 As a result, high optical performance is maintained over a wide range of temperature (-40° C to +50° C). Benefiting from an off-axis design, Optical Surfaces athermalised beam expanders provide an unobstructed output and highly efficient transmission. The reflective design of these beam expanders is achromatic and with aluminium coatings can operate from UV to far IR without adjustment or internal realignment. Each athermalised beam expander is housed in an aluminium housing with provision for fixing to an optical table. Alignment aids are provided to ensure correct beam pointing. Standard beam expanders have fixed magnification. Variable magnification beam expanders can be supplied with interchangeable primary mirrors. An interferogram and OPD map is supplied with every athermalised beam expander manufactured by Optical Surfaces. For further information on athermalised beam expanders please visit click here or contact Optical Surfaces Ltd. on +44-208-668-6126 / sales@optisurf.com. Optical Surfaces Ltd. reports on increased demand from high power laser research groups around the world for off-axis paraboloid mirrors to be used as the primary focusing element for their Petawatt laser beam lines. Off-axis paraboloids offer the advantage of an unobstructed aperture and access to the focal plane. In addition, due to their completely achromatic performance, they are especially suitable for broadband or multiple wavelength applications. 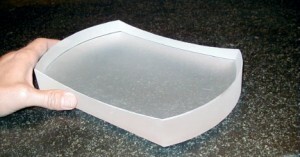 Using proprietary production techniques, and benefiting from a uniquely stable manufacturing environment, Optical Surfaces highly experienced and skilled engineering team are able to produce fast focusing off-axis parabolic mirrors with unmatched surface accuracy, surface quality and surface slope errors. 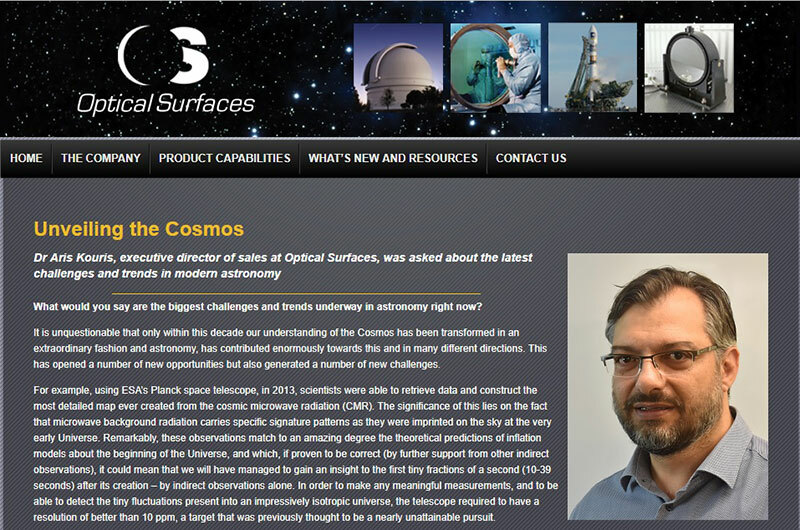 Dr Aris Kouris of Optical Surfaces Ltd commented “Few companies in the world are able to produce off-axis paraboloids of sufficient quality to enable Petawatt lasers to focus their massive energy down onto targets only a few microns in size. 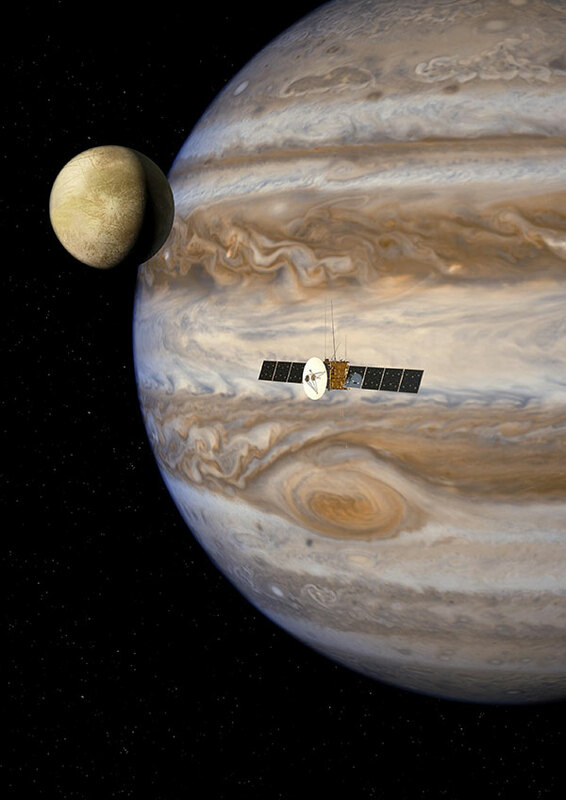 Laser-plasma interactions under these conditions can produce energetic beams of electrons and protons as well as bright, coherent sources of X-rays enabling researchers to address fundamental questions in astrophysics and plasma physics”. He added “In recent years we are honoured to have been selected by world leading high power laser research groups including AWE, ELI, LULI and CLF Rutherford as well as a growing number of academic centres of excellence to provide key off-axis focusing mirrors and other related optics”.